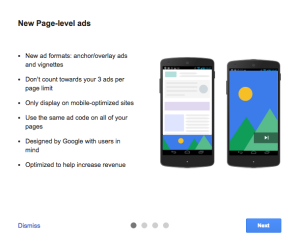 This tutorial details on How to Activate Page-level ads in Google Adsense. This can be done only if your account is eligible and have page-level ads option. How to know whether your account is eligible? Once your account is eligible and you have the feature active google adsense dashboard will have an active notification on top just like all other alerts on google adsense asking you to try the feature out. Once you click the same it will guide you to the detail tutorial on what it is and how you can activate the feature. I will describe the method just below this. How to activate page-level ads? Click on the notification to try the feature out. You will see the above pop up browse through the next button on each slide google will show you what really the page level ads mean to be. Also it will show how it works on your page along with a help on how to use the google’s preview tool to actually preview the same on your website. Once you have traversed through all the slides you can actually try out the preview on your website. Lets say your website address is http://www.shyamachuthan.com/index.php then you must try http://www.shyamachuthan.com/index.php#googleads to see it in real action on your web page. 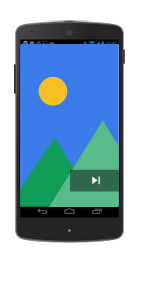 There will be options to select which ad formats you want to preview. 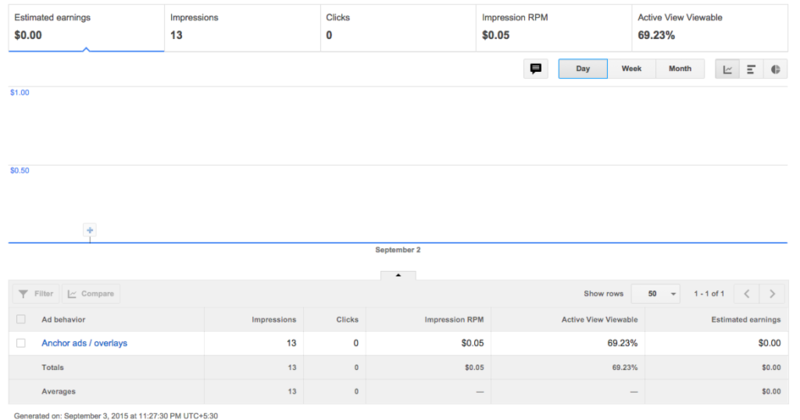 Now lets see how to activate ads and present it to your visitors. Cheers Hope you guys have a good time with the all new page level ads from google adsense. This type of ads will stick to the edge of the web page and can be dismissed very easily. As of now on test runs i have seen that only on bottom side of the pages. These type of ads appear in between page transitions. These type of ads are also only for mobile responsive websites and found to appear only on usage on a mobile browser. 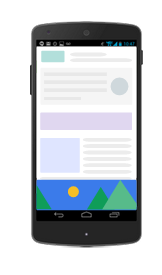 Before implementing google has given a comfort of previewing the actual working of both the ad-formats on your website with the help of preview tool. 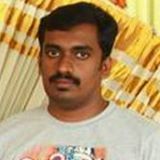 Once the page-level ads is active on your account visit your website url along with #googleads to see the preview for eg: if your webpage is http://www.shyamachuthan.com/index.php you can preview the page level ads by hitting http://www.shyamachuthan.com/index.php#googleads on your mobile browser ( provided you have a responsive website ). Note: Currently this feature is available / introduced only for Premium Publishers / Selective Publishers, hope that will be available through out all google adsense accounts soon.